What Makes a Worship Song "Easy" to Play on Guitar? Do 2-Chord and 3-Chord Worship Songs Exist? As a Beginner, What Do I Need to Know About Playing Worship Songs? Are you a visual learner? 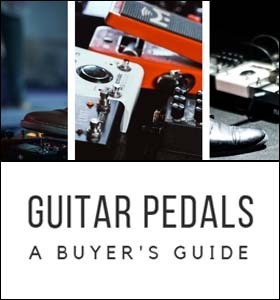 Learn to play guitar from professional videos. Difficulty: Chord switching at an intermediate pace; easy to play once you can transition between the G, C, and D chords at a reasonable pace. Amazing love is a song you can play with 3 easy guitar chords: G, C, and D. This is a simplified version, of course, but it still sounds very close to the original. This is a great worship song (I personally love this song! ), and a great one to play as a part of any worship team, in front of your church, or just learn by yourself to sing along to whenever you'd like. The chord progression is as follows throughout the song: G, C, G, D.
None of the chords mentioned here involve any bars or capos. You'll be able to play this relatively easily in standard tuning (E A D G B E). If you don't remember how this song goes and need a refresher, here's the first verse and chorus to jog your memory. Difficulty: There's some quicker chord switching in this song in both the verses and the chorus, a little more so in the chorus. Other than that, it's easy to play once you learn the chords. Note: All of the songs from this point onward will be played with 4 chords. Even though I could've simplified a few of them even more into just 3 chords, they just wouldn't have sounded the same. I decided to do all I could to keep the "essence" of the music. You'll notice that the remainder of the songs listed here sound a bit "richer" than the first song we simplified down to only 3 chords (Amazing Love). Even though Amazing Love still sounds good, adding an E Minor (Em) into the chord progression would significantly improve the sound. Just my two cents! The chord progression here is G, Em, D, G followed by G, Em, D, C.
While playing the verses you alternate the last chord between G and C, but all the root chords played here remain the same. Again, I included a snippet of the lyrics to jog your memory. Difficulty: Contains intermediate-paced chord switching (once every 2 seconds or so during the song). It's relatively easy to play once you can switch chords quickly with some practice. 10,000 Reasons by Matt Redman is a song most of us easily recognize. It's unique in that it actually starts with the chorus and then goes on into the verse. The chord progression here goes like this: C, G, D, Em. Once again, these aren't tricky chords. After practicing for a few hours (this is, realistically, how long it should take if you're new to this - perhaps a bit longer), you'll be able to have these chords down pretty well. When I was learning my first chord progression on guitar, it took me roughly a week (practicing an hour or so a day), until I could play the chords without looking at the frets, purely by muscle memory. You can get to a good point with a few hours of practice, but it'll take a little longer to develop the muscle memory for each chord. Difficulty: Easy to play. You'll be switching chords once every line in this song, at a bit of slower pace compared to the last few. The only part that may be a bit more difficult is that there isn't a repeating chord progression; it changes slightly throughout the song. This is another excellent song from Hillsong Worship. Broken Vessels is relatively easy to learn, as it contains the same four chords we've been seeing over and over again in the last few songs. If you stop and look at the most common chords all of these worship songs contain, you'll notice that Em, G, D, and C appear very frequently. Learn these four chords, and you're already 75% of the way there to play just about every worship song we list! Pretty cool, isn't it? The chord progression for Broken Vessels goes like this for the chorus: C, D, Em, G.
This song is a little bit more difficult in that it doesn't have a "rotating" chord progression. When I say rotating, I mean playing the same four chords over and over again in the same order each time. The chords here are mixed up a little, but that's what makes this song sound great. You'll find a snippet from the first verse and chorus down below. Difficulty: Even though this song contains five chords (instead of the usual 3 or 4 up until now), the chord progression is fairly simple. This makes it easy to play once you've mastered the chords and can comfortably transition between them. And we finally come across our first 5-chord song! Don't worry, it's not as scary as it sounds. And if you've been following along with some of the earlier songs I mentioned, you should already have G, C, Em, and D down. The one new chord we've been seeing here is A Minor (Am), but luckily, it's also a reasonably straightforward chord to grasp. The chord progression in the verses alternates between G and C. Very simple. And in the chorus, the chord progression goes like this: C, Am, G, Em. This entire song is mostly played with those four chords. The only place that a D chord comes up is in the bridge of the song (and it's only played once). This song is a slower, quieter worship song that would work great when mixed into a worship set either before or after a prayer (or if a softer song is desired). The lyrics are easy to remember once you've heard the song all the way through at least one time (but with the chorus, you can even pick that up on your first time singing this song due to it repeating). Difficulty: Involves some quicker chord switching in the chorus. A little more difficult than most of the songs we've mentioned earlier, but still very doable with some quality practice. Transposed -5 into an easier key (G). Cornerstone by Hillsong is a great worship song -- I personally love singing it! This is a more upbeat song that would fit in great as the last worship song when closing out your set (if you'll be playing this with your worship band). Using only four chords (the same ones we've already used numerous times in previous worship songs above), this song should be easy to pick up no matter what your level of play is. The chord progression is as follows: G, Em, C, D. Once you learn these chords and get them down to where you can quickly transition between them, you'll make quick work of picking up Cornerstone. Difficulty: Very easy to play with nice slow chord transitions and only four chords to master. Transposed -9 into the key of G for easier chords. Holy Spirit by Bryan and Katie Torwalt is originally in the key of E. Unfortunately for us, playing this in E introduces an F Sharp Minor Chord (F#m) and B Chord. These are both bar chords! Bar chords definitely aren't easy to play; check out the chord chart for F#m and B below. A whole bar for F#m on the second fret, and a five string second fret bar for B. There's some difficult guitar notes there! To get around this and simplify this song to a playable beginner level, what I did was transposed the entire song down 9 half steps (-9 transpose). This brought it down from E to G, giving us the same chords we've been playing the rest of these songs in! Great, isn't it? You can re-use the same chords and practice them over and over. The chord progression goes G, C, Am. 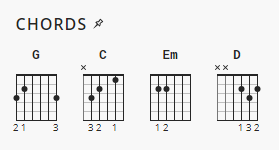 Just like in Cornerstone, the D chord only appears in the bridge here. Everything else is played purely with G, C, and Am. Difficulty: Relatively easy to play, with some "intermediate-speed" chord transitions. They aren't too fast and they aren't too slow either; with a bit of practice you'll be able to play Stronger flawlessly. I hate to sound like a broken record, but Stronger by Hillsong Worship also uses the same four chords we've been seeing over and over again: C, D, G, and Em. This song is more in the intermediate-beginner range because of its speed. You have to switch between C, D, and G very quickly in the verses (and you'll also throw in an Em in there). You'll have to practice your chord switching if you want to pull off playing this song smoothly. Mighty to Save by Hillsong United is a worship song you've very likely heard or sung along to in the past. I listen to it on my local Christian radio station all the time (K-LOVE) and have sung it (and played it!) numerous times in our church's worship segment of the service. It's played in standard tuning (E A D G B E) and contains only four chords. Do you want to guess which ones? That's right, the same four chords: C, G, Em, and D.
The chord progression for the chorus of Mighty to Save is G, D, C, Em. For the verses, it's C, G, Em, D.
I've included a snippet of the lyrics below. Difficulty: There are only two chord changes per line at a medium pace in Everlasting God. On top of that, the chord progression is super easy and repeating. This is the perfect worship song for beginners to pick up and learn! These four chords sure are persistent, letting us play nearly every song on this list. Hello again G, C, Em, and D! Those are the only four chords you'll need to know to play Everlasting God. I classify this song as being at a true beginner level. There isn't any quick chord switching anywhere in the chorus. The verses of Everlasting God don't have any fast chord switches either, except for the last two lines of each verse (where there's a quicker transition). If you're on a quest to find an easy worship song that you can learn incredibly quick, this could be the one. Difficulty: This song isn't too difficult to play, but it does feature some more advanced techniques in the tabs (these can be ignored for now). As long as you can transition fluidly between Em, C, G, and D, you can learn this song! "God of wonders beyond our galaxy...", as the song goes! This is one of my favorite worship songs. It's easy to pick up and play (using our same four chords once again), and it's a little more upbeat allowing it to fit in the middle of any worship segment easily. The chord progression goes G, D, Em, C.
I want to point out, though, that this is a more advanced song. 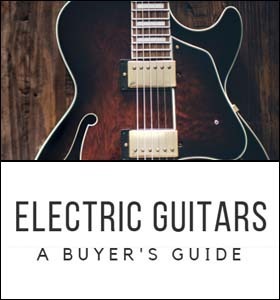 If you look at the guitar tabs I listed, you'll notice that there are a lot of tougher techniques listed such as hammering guitar strings and sliding. Ignore those techniques for now (unless you're up for a challenge!). What you want to focus on right now is getting the chords down and transitioning quick enough to play God of Wonders smoothly. Difficulty: Easy to play. Reckless Love has a steady, repeating chord progression that remains the same throughout the verses and the chorus; the only difference in the chorus is adding an extra G chord to the end. Take a look at the tabs for more details. Reckless Love by Cory Asbury is another great worship song I like to sing (and play, as a matter of fact!) It once again revolves around these same four chords (Em, D, C, and G), making it simple to play once you get these chords down and mastered. I would classify this song as being in the beginner range, because you switch between chords at a "medium-slow" pace when playing each verse and chorus (there are chord switches every few words of the song if you take a look at the tabs I provided). This chord progression repeats over and over again, so as long as you can switch comfortably between Em, D, C, and G (in that order), then you've got this song down! I would highly recommend starting with this song if you're just beginning to learn some worship music. The chord progression for the verses and the chorus is exactly the same, making it easy to master. Difficulty: The Heart of Worship is a relatively easy to play song. You're going to be switching between D, A, G, and Em every few seconds, so your primary "practice point" should be smooth chord transitions if you want to get this song down quick. The Heart of Worship by Matt Redman can be played with these four relatively simple chords: D, A, G, and Em. The chord progression for each verse goes as follows: D, A, G... repeat. The chord progression for the chorus goes like this: Em, D, A... repeat. That's what makes this song easy to play. 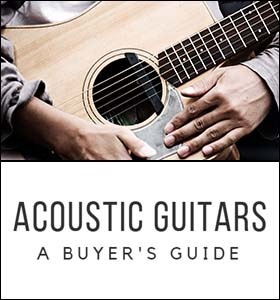 You only have to switch between three chords at a time (in a repeating manner) to play each verse, and again only three alternating chords to play the chorus. Here's a snippet of the first verse and chorus. Difficulty: Very easy to play! Each line only has one chord that you need to play. Highly recommended for beginners. Open the Eyes of My Heart by Paul Baloche has been around for many years now (released in 2000). I remember singing this song in worship in the mid-2000's, and I still continue to hear it played and sung every once in a while. This truly fits the description of easy to play! Each line of the verse only has one chord that you need to play for that line (except for the last line which consists of two chords). The slower tempo of this song gives you more time to change chords as well. Where things might get a little tricky is the chorus (chord switches happen more often), but it's still very doable if you spend the time practicing. The chord progression for the verses goes like this: G, D, C, G... repeat. The chord progression for the chorus is as follows: D, Em, C, D... and a few more chords mixed in. It's not 100% a repeating pattern (alternates a little bit between chords). Difficulty: Easy to play. The chord switches in How Great is Our God are at a slower pace, letting you take your time when transitioning between chords. Another great song for beginners to start learning on. I'm sure you've already noticed that we're using the same four familiar chords I've mentioned a hundred times already: G, Em, C, and D.
The chord switches in this song are pretty slow as well, so you'll easily be able to pick this song up and get going with some quality practice! Both the verses and the chorus have relatively slow chord switches; you'll be switching chords approximately twice every line (and only one time at the last line of each verse). The chord progression for verses goes: G, Em, C... repeat. The chord progression for the chorus is G, D, Em... with some variation. It isn't a strict repeating pattern in the chorus (see the chord charts I reference for more detail). A lyrics snippet is included below. Let all the earth rejoice, all the earth rejoice. And trembles at his voice, trembles at his voice. 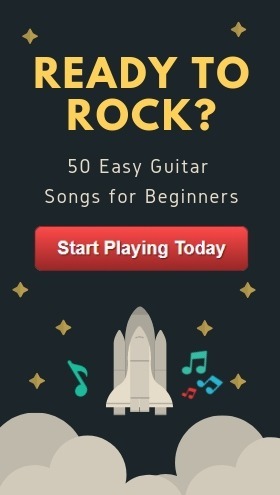 Difficulty: One Thing Remains is at an intermediate-beginner level, and requires you to learn five chords. The chord progressions are fairly simple once you can easily transition between C, G, D, Em, and Am. I saved the best for last. This has been my favorite song for over a decade (I especially like the chorus!). The only thing with One Thing Remains by Jesus Culture is its difficulty. 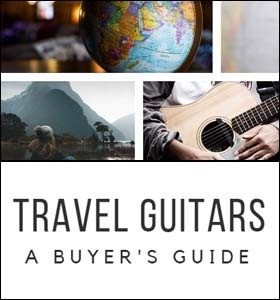 It's a little bit on the harder side to learn (not to mention, it contains five chords that you'll have to learn instead of 3 or 4). The chords are all pretty simple to pick up (and ones we've seen recurring throughout this list): C, G, D, Em, and Am. The chord progression for the verses goes as follows: C, G, D... repeat. Pretty simple. The chord progression for the chorus is Em, C, G, D...repeat. Also pretty simple. The difficulty comes in with the speed of chord switches required. You have to change every 2 seconds or so in the chorus, and also around every 2 seconds in the verses. Once you get good at your chord switches though, you'll be able to play this song flawlessly after some excellent quality practice! There are easy songs, and there are difficult songs. What distinguishes one from the other? The first point we have to consider is speed. Is this a fast BPM song that'll force you to transition between chords at a lightning pace? If so, it's fair to classify it as intermediate or advanced (depending on the intensity and chords being switched between). After checking out the BPM and making sure everything is set, the next thing we look at are the actual chords themselves. Are there bar chords involved? Are there chords where your fingers stretch along multiple frets, making them hard for a beginner to grasp? Once we've analyzed each chord and figured out how difficult the song truly is to play from scratch, we can give it a final rating. All of the songs listed above are in the beginner range (with only a couple being intermediate). Yes, they do. It's very possible to simplify any worship song down to just two or three chords. The only problem is, when played solo, it'll sound nothing like the original. There's a fine line between an over-simplified song and one that's simplified just enough to both sound good and be easy to play for a beginner on guitar. In my opinion, simplifying any song down to two chords (unless it's genuinely a repeating song, or something straightforward) takes away the essence of the song. It's just too much. 3-chord songs, on the other hand, are perfectly reasonable. If we're talking about a simple song here, simplifying it down to 3 chords should (in most cases) keep the essence of the song and let you play it and sing along to it. If the song gets any more complex though, you'll start to notice that the version you're playing on guitar vs. the original version you heard time and time again doesn't sound very much alike. The most important thing: You're playing to glorify God, praise his name, and worship! Try your best, don't give up, and you'll be able to learn any of the songs listed above in short order. Once you have the "why" down and know that you'll need to persist through the learning process (everyone runs into struggles, it's just a natural part of getting better), then you can start mastering the chords I described above. Look at the chord charts, practice getting your finger positions in place, and then practice transitioning between chords. Once you transition enough times, you'll begin building up muscle memory for where your fingers go on the fretboard. With enough practice, you'll eventually build up muscle memory to every chord you frequently use. And that's all there is to it. Keep practicing, choose a worship song that you like the most, and you'll be playing these worship songs like a pro in no time! If you're up for it, maybe you can even play them around the campfire sometime!